A real-time needs registry for building resilient communities. A new model to meet local needs. These private sector companies are making an impact, directly. Interested in joining our network of private sector and nonprofit partners committed to transforming aid and disaster relief? Over 70% of aid during emergencies currently goes to logistics. NeedsList matches products and services from private sector companies with real needs from local communities around the world. Vetted local charities post their most urgent needs on NeedsList. Enterprise users can search our database for needed products, services, and employee engagement opportunities. System updates in real time as needs are met. Members receive impact reports. "We have received so many donations from NeedsList this holiday season. The donations of tents, sleeping bags, handwarmers and coats were much appreciated here in Paris, as the temperatures continue to stay below freezing. Thank you again for creating this amazing platform." "I really love NeedsList for a number of reasons. I know exactly what my donation is purchasing and who will benefit. Most importantly, even small donations have an impact, because tangible goods are going directly to the people who need it. 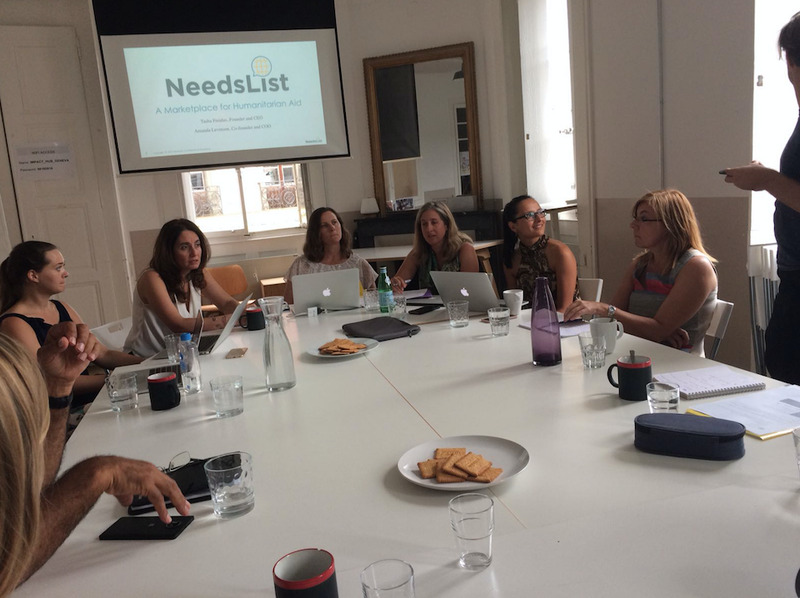 NeedsList really helps me to understand the day-to-day issues that refugees and those in disaster areas are facing." Find out how your company can partner with NeedsList to make humanitarian aid more efficient and transparent. Humanitarian Aid Platform Entrepreneurs Get First-Hand Lessons From Hurricane Florence. NeedsList featured on Scitech Now: Innovation in humanitarian relief. Join our mailing list to receive updates on our most urgent needs.